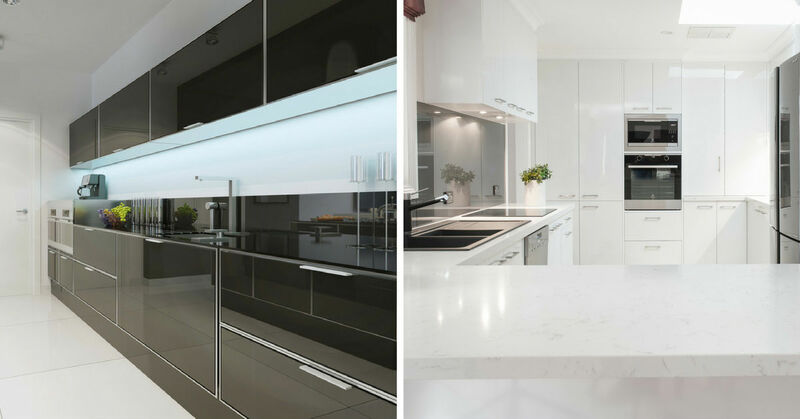 The splashback, benchtop and the cabinetry are all candidates to be the hero of the kitchen. They can shine with colour, finish, shape or design. But for a cohesive design don’t make them compete for attention. It is simply not enough to have a functional kitchen these days. It is about creating a fabulous space at the heart of the home – a place to entertain and a family hangout. Give it style, character and make it a statement of your personal taste. 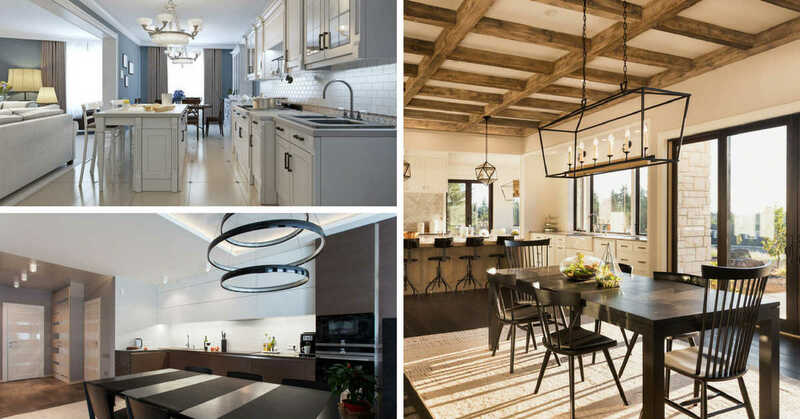 We bring you 6 ways to create a wow factor in your kitchen. Have you thought of giving your kitchen a setting? It is a bit like setting a piece of jewellery – it makes the stone look more brilliant. 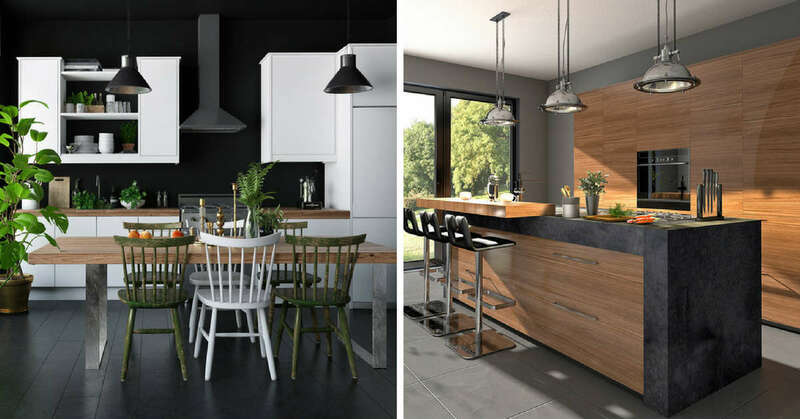 See how the white and timber kitchen look fabulous when placed against a backdrop of dark walls and floor. If you have a long wall against which the kitchen is built, use it to full effect. Cabinetry dominates a kitchen simply because it’s everywhere. If serene, timeless white is too boring for you, here’s one from our Qualia range. Bold statement in an ultra-modern setting. The hi-gloss handle-less cabinetry is unapologetic about holding centre stage. If the Italian red is too bright for you, check out the one in slate grey – very fashionable. 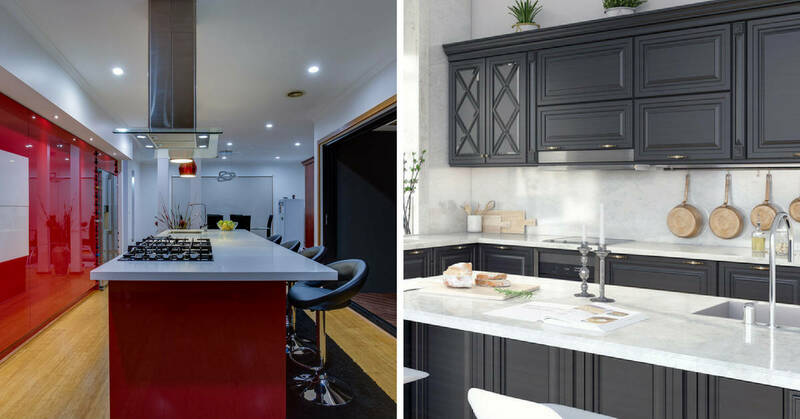 If you are considering a dark coloured kitchen we have many options you could look at. There’s gloss and then there’s gloss. Zesta Kitchens now offers the best gloss known to man – Senosan. The final look is that of a piano finish kitchen. Exceptional colour depth and reflective quality give it an instant wow factor. More practically it is a great way to open the kitchen space making it look larger. It’s in the centre of the kitchen and it goes on the top. 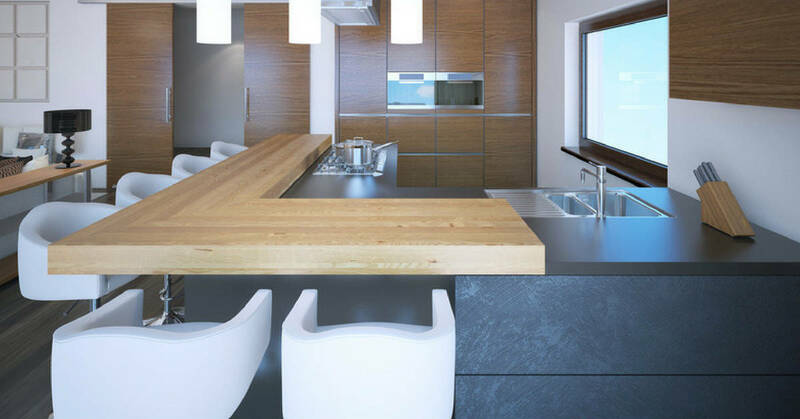 The island benchtop is the most popular dramatic feature of the modern kitchen. It is multipurpose – great for food prep, even better for entertaining, having a drink with a friend, or chatting with the kids. 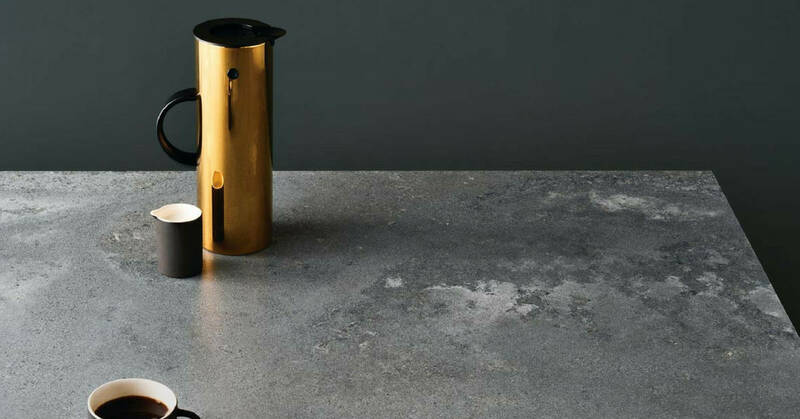 And concrete in the kitchen has a new look. It’s rugged and refined at the same time. The texture gives the stone movement, making it softer. If the industrial look is not for you, here’s timber grain – used in a long profile to make it look inviting. What a magnet this benchtop can be for the family! And with that comfortable seating, you can be sure they are not leaving anytime soon. This look is so on trend right now. 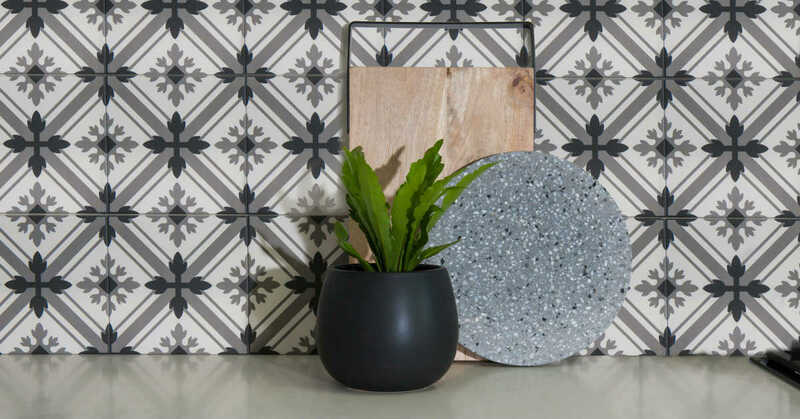 Intricately patterned tiles add a touch of the exotic – Oriental, Mediterranean, Indian or Moroccan and can be used in traditional and modern kitchens. It’s important to keep to the colour palette so they don’t jar, but for sheer drama you can’t overlook them. If you find patterns too busy and distracting, here’s one we love. 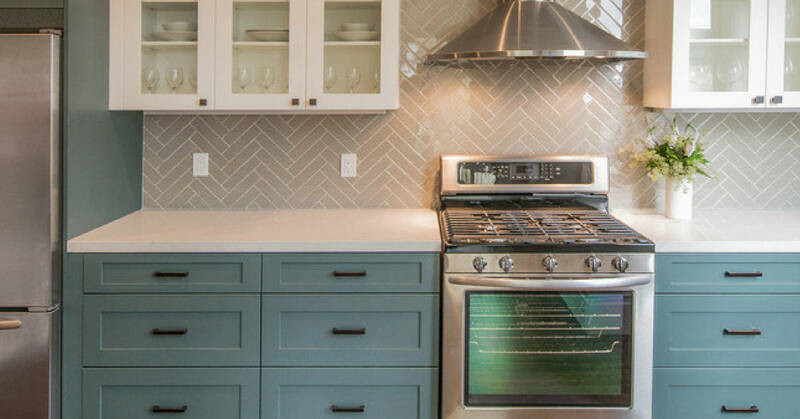 The classic herringbone patterned tiles in a classic kitchen. Stunning. And timeless. How many people would think of lighting being a highlight of the kitchen? Not many. But why not. Far from being the functional spaces, kitchen design is as important as a formal living area. Feature lighting can also create a seamless transition from kitchen to dining. It’s a where you entertain so why not make it luxurious. Fine dining every night! Buying a new kitchen is a big investment. And you will have it for a long time. So be bold and creative, but above all trust your own taste when designing the feature elements of the kitchen. Stick to the central theme and don’t make too many elements compete for attention.